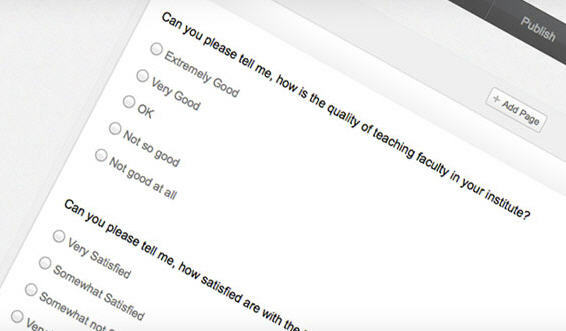 Creating a web survey with Zoho Survey has never been easier. Select one of the Zoho Survey templates or start your own. 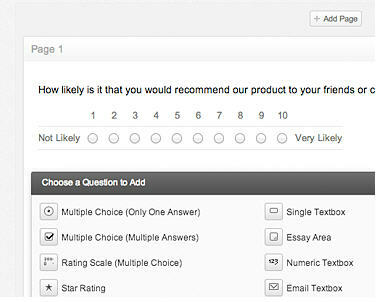 Add multiple question types to make your online survey as engaging as possible. After the web survey has been deployed, typically you would wait a few days for the responses to roll in. If you utilise Zoho Campaigns online email marketing solution to send the survey link you could even track read and click rates while you wait to see who is reading the email and clicking the survey. Zoho Survey collates all of the responses though and generates attractive charts for you to analyse survey results. You can even export the results and share with your colleagues! 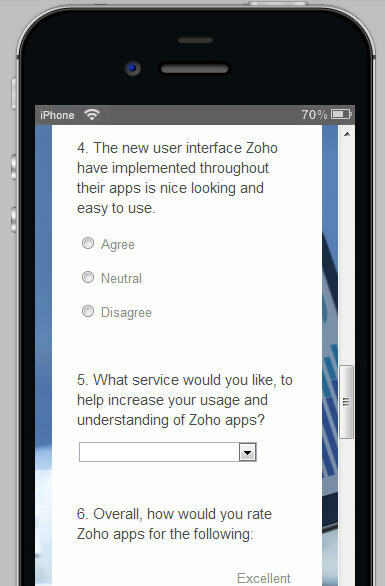 Zoho Survey web based surveys are even mobile friendly! This enables you to distribute surveys via email and social channels and your recipients can fill in the questions online on any device, providing you with a higher rate of completion and more accurate survey statistics. For more information on Zoho Survey, please feel free to contact us and we will respond within one business day.